Heat oven to 375°F. Unroll dough; separate into 4 rectangles of 4 strips each. Place rectangles on ungreased cookie sheet. Press each to form 5 1/2x4 1/2-inch rectangle. 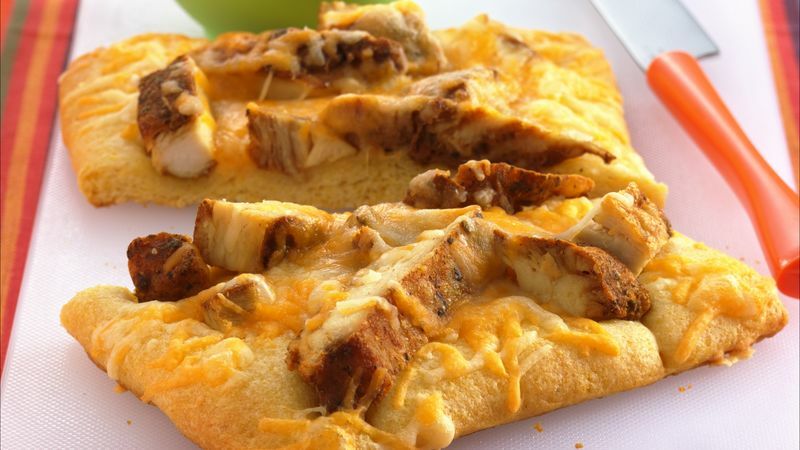 Top dough rectangles evenly with chicken strips. Sprinkle each with cheese. Bake at 375°F. for 15 to 20 minutes or until edges are deep golden brown. Serve with salsa. To add even more South-of-the-border flavor, serve these mini pizzas with tortilla chips and refried beans. Olé!